33 year old Austin “Chumlee” Russell, better known as Chumlee of the hit TV show ‘Pawn Stars’ has been arrested on felony weapons and drug charges. The Las Vegas Metro Police were serving a search warrant on his Las Vegas Valley home in a sexual assault investigation when they discovered methamphetamine, marijuana and firearms. According to reports, Chumlee is facing 19 drug possession charges and one count of possession of a gun by a prohibited person. Russell has not yet been charged in the sexual assault case, but he finds himself in a world of trouble. Chumlee was booked into the Clark County Detention Center on Wednesday and his bail was set at $62,000. 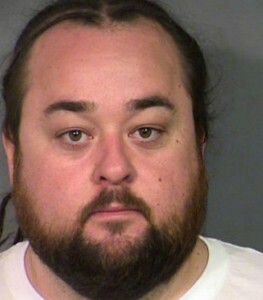 There is no word yet as to whether Chumlee had to pawn anything to make bail . The man known to millions of cable TV viewers as Chumlee on the reality show “Pawn Stars” was being held late Wednesday in a Las Vegas jail following his arrest on felony weapon and drug charges. Russell, 33, was booked into the Clark County Detention Center on Wednesday. His bail was set at $62,000. He is facing 19 drug possession charges and one count of possession of a gun by a prohibited person, jail logs show. Suddenly, Hillary Clinton is all for lessening the restrictions on pot as she spoke to a largely black audience in South Carolina yesterday. As I have previously stated, of course the LIBS are all for making reefer legal, its the only way anyone would vote for these people is being high. 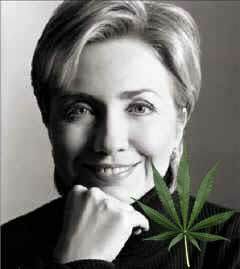 Hillary Clinton proposed loosening restrictions on marijuana in South Carolina on Saturday, telling a largely African-American audience that she would like to reschedule the drug in order to spur research. This is a new position for Clinton, who in the past has said she wanted to spur research but has never endorsed reclassifying the drug. Imagine that, Ohio is not Colorado. The voters of Ohio decided to say JUST SAY NO to a the legalization of marijuana for both medical and recreational use by a resounding 65% to 35%. Although, many probably voted against this terrible measure not only because of pot legalization but also they way it was written giving a monopoly to certain individuals to grow it. 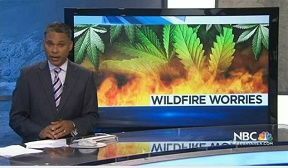 C’mon man, the last thing some stoners are going to want is being forced to by some weed from some politically connected wealthy backers. Next thing you know these privileges state appointed drug kingpins would have the market on the Doritos and moon pies. Issue 3, the effort to legalize marijuana for both medical and recreational use in Ohio, failed to create a buzz with voters Tuesday. The legislation was rejected soundly, failing by a margin of 65 to 35 percent with 77 percent of precincts counted late Tuesday night. WAPO: Ohio just rejected legalizing marijuana. What that means for the future of pot. Ohio voters on Tuesday rejected a controversial marijuana legalization measure at the polls in that state. Recent surveys showed support in Ohio for marijuana legalization, but voters balked at the specifics of the ballot initiative, which would have created an oligopoly on marijuana production for a small handful of the initiative’s wealthy donors. The initiative faced an uphill battle from the start. The first stumbling block was the nature of the ballot measure itself. It would have essentially written a marijuana oligopoly into the state’s constitution, with the measure’s wealthy backers as the only recipients of licenses to grow marijuana commercially. That didn’t sit right with many of the national advocacy groups that have backed successful legalization measures in other states.